Epix and Universal Cable Productions are set to do a duty-dance with death. As announced by Variety, Universal Cable Productions' Slaughterhouse-Five television adaptation has officially begun development with Epix. Universal Pictures previously released a Slaughterhouse-Five film, starring Michael Sacks and directed by George Roy Hill, in 1972. The series, based on Kurt Vonnegut's 1969 anti-war novel Slaughterhouse-Five, or The Children's Crusade: A Duty-Dance with Death, has Happy! showrunner Patrick Macmanus on board as writer and executive producer. Emmy-nominated television director Kari Skogland of The Handmaid's Tale fame is set to direct. Gathering what we know about the small screen adaptation, it sounds like Slaugherhouse-Five the show will remain pretty faithful to Slaughterhouse-Five the novel. Billy Pilgrim, the World War II soldier and chaplain's assistant with a fatalistic attitude and a disdain for war, is our central character. As the story progresses, after Billy's acquaintance Roland Weary dies from gangrene and after fellow soldier Paul Lazzaro proclaims that he will murder Billy to taste the sweetness of revenge, Billy begins to experience flashbacks of his former life. He flits between the present and the past, often jumping to the future and recounting experiences like living under psychiatric care, getting abducted by aliens and being taken to the planet Tralfamadore, and surviving a plane crash. 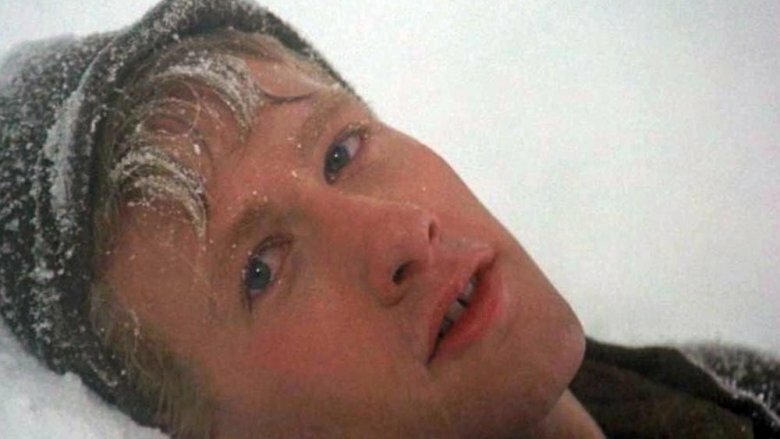 Two things that make Slaughterhouse-Five as intriguing as it is (beyond the obvious in terms of themes, characters, and plot) are the facts that Billy is an unreliable narrator and that the story is told in nonlinear order. Off the bat, it may seem like translating those two elements to television would be a difficult if not entirely impossible feat, but it's been done — and done well — before. Remember how untrustworthy Elliot Alderson (Rami Malek) turned out to be in Mr. Robot? That series seriously messed with viewers' ideas of reality and delivered one of the most controversial twists in television history when it finally uncovered the full truth. Something similar happened in the first season of True Detective. It was hard to tell whether Marty Hart (Woody Harrelson) and Rust Cohle (Matthew McConaughey) were lying through their teeth or wearing their hearts on their sleeves. And don't even get us started on the non-chronological storytelling and sneaky, capricious narrators in film. There's Shutter Island and Fight Club and The Perks of Being a Wallflower and Gone Girl and Atonement — the list is long and ever-growing. However, sometimes series take time-toying too far, leaving viewers with throbbing in their heads and a bitter taste in their mouths. Take, for instance, HBO's Westworld. The first season shocked us all when it revealed that (SPOILER ALERT) the strapping young William (Jimmi Simpson) and the brooding Man in Black (Ed Harris) weren't two men in the same time period but were the same man on two separate time periods. It was a surprising but easily understood twist. Unfortunately, the second season of the sci-fi Western series took things to the extreme — so much so that the overly complex timelines and chaotic push-pull between past, present, and future left actors confused and fans asking themselves if they were watching the show wrong. Hopefully the minds behind the Slaughterhouse-Five series can strike the right balance in this regard and avoid doing Vonnegut's novel any disservice.